Owain Gwynedd (c 1100-1170) was a king of the north Welsh kingdom of Gwynedd and there is a late medieval Welsh document, Achau Brenhinoedd a Thywysogion Cymru, found in a number of early modern manuscripts and perhaps composed in the fourteenth century, which lists a son named Madoc. This is probably reasonable evidence that there was a real Madoc ap Owain Gwynedd, who would have lived during the twelfth century. However, there mere mention of the name (and there were conceivably dozens of people named Madoc ap Owain, as both were popular names at the time) does not automatically mean that the stories about him are necessarily true. 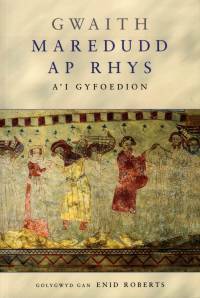 A number of later medieval poets are said mention this particular Madoc ap Owain; references to a Madoc in the work of Cynddelw (c 1155-1200) are sometimes assumed to be to this individual, but they are more likely to be to his patron Madog ap Maredudd (c 1100-1160), King of Powys, for whom he wrote an elegy (Marunad Madawc fil Maredut). 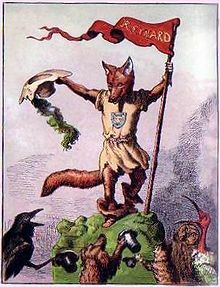 The thirteenth-century Flemish poet Willem, whose Dutch version of the popular story Reynard the Fox (Van den vos Reynaerde) states Willem, die Madoc maecte, Daer hi dicken omme waecte (‘Willem, who wrote Madoc, and spent many a sleepless night doing so’), has been credited with writing an epic about Madoc ap Owain. Although the work is generally thought to be lost, the medievalist Herman W J Vekeman published a translation in 1976 as Willam Madock, promising a critical edition of the original that has never appeared: it is now generally acknowledged as a hoax. It is nothing more than pure speculation that the Madoc of Willem’s title was Madoc ap Owain. Vekeman’s hoax portrays him in the same way as heroes of Norse sagas were portrayed: he visits the King of France, finds a tropical paradise and visits a magnetic island, story elements which have more in common with the Navigatio Sancti Brendani (Voyage of Saint Brendan) than with history. A number of other medieval Dutch writers refer to Willem’s work or, at least, to a well known figure called Madoc. In the poem Rĳmbĳbel, Jacob van Maerlant (c 1235-after 1291) links Madoc, Arthur and Reynard in the context of a dream (Want dit is niet Madocs droom, Noch Reinaerts, noch Arthurs boertige verhalen); Die Borchgrave van Coetchi also links Madoc with a dream, as does Het esbattement van de appelboom, written as late as 1612. The writer Edward den Dene places Madoc in a fabulous underground cave with trolls and numerous animals in Waerachtige fabulen der dieren, published in 1567. (‘Brave Madoc, great of frame, True offspring of Owain Gwynedd, Had no land, it was his soul, Nor great goods but the seas’). This is the earliest certain reference to Madoc ap Owain Gwynedd outside the genealogy and it seems to indicate that he was famed as a sailor, although as the poem was written as a thank you to Ifan ap Tudur of Berian for the gift of a fishing net, it suggests that this fame was more to do with fishing than with exploration. This is borne out by the succeeding lines, which say ‘I am Madoc to my age, and to his passion for the seas have I been accustomed’ (I do not have the Welsh version of these lines). Claims have been made that the poet Gutyn Owain (c 1430-1498) refers to Madoc’s voyages, but there are no extant poems of his mentioning him, nor do those who cite his authority actually quote his words. You call it a “cynical diatribe”. I call it looking at the evidence. Using the “weak” terms you so deride is what’s otherwise known as scholarly caution. Nothing outside mathematics is susceptible of proof: all we have is balance of probabilities in support of an hypothesis. The balance of probability is that the Madoc story is simply a story, made up largely in the sixteenth century to bolster English claims to priority in European settlement of the New World. There was another bardic reference to Madog ab Owian Gwynedd in a poem by Deio ab Ieuan Hen c1410-c1480) see poem 5 page 13 lines 35-38 of the 1992 edition of his work from Cardiff University press. I think there’s a good chance that these 15C bards were remembering a Welsh seafarer of the 12C – there were close links between the Vikings of Dublin and the Welsh of Gwynedd. Welsh Indians? No of course that’s nonsense.